How Deep Do Your Colors Run? 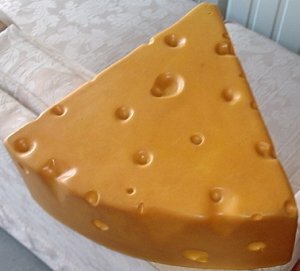 I’m a Green Bay Packer’s fan. I was born and raised in Wisconsin. For reasons too numerous, and uninteresting to mention, I did not start watching football until my teens. But, there was no question which team I would follow. It is a pretty brave person that lives in Wisconsin, but is not a Packer fan:-) And on Packer Sundays, I swear, you could fly above the state and see nothing but green and gold! I have joked with people that if you prick my finger, I bleed green and gold. Now I live in Iowa. We don’t have a professional team here. People are a fan of whichever team they happen to take a liking to. And, although there are many die-hard fans, there are also many who will switch teams depending on which way the wind is blowing. Faith can be like being a football fan. At the very base level, you have those who say they believe there is a god, and that Jesus lived and was a good man. This is not really a fan. This kind of person simply recognizes the existence of a god. Just as I recognize the existence of the Minnesota Vikings. They are there, but I’m not going to wear their colors. Then we have the fair-weather folks. They are half-hearted fans. They might even own a shirt or hat, but when asked how the team is doing, or what they think of #52, they can’t really say because they don’t follow the team that closely. As a result, when the team goes through a losing streak, this fan is more likely to leave the ranks and find another team to attach their weak allegiance to. A fair-weather faith-er is much the same. God is real. Jesus is real, may even be God’s Son. They attend church a few Sundays a year, and are especially sure to be there on Christmas and Easter. Kind of a just-in-case sort of deal. They are covering all their bases. That way, if they should die, they at least have their foot in the door of Heaven, and maybe they can worm the rest of the way in once they are there. But if times get hard, difficult situations arise, they can easily blame God, or even switch to a deny-God-exists position. Next come the committed fans. Those who wear the colors, watch the games, can name the major players, and a few important games. The ones who have toured the stadium, and won’t switch teams in a drought. (This is my true Packer fan level:-). But, they are not going to fork out the money necessary to go to a live game. These faith-ers are the ones who attend church nearly every Sunday. They talk the talk, and walk the walk, at least as far as can be seen by others. They are true believers in God and Jesus, and hesitantly await the day when Christ will return. They know without a doubt that when they die, they will be in Heaven with Jesus. But sometimes they get frustrated because their faith just seems to sit still. It doesn’t grow, it doesn’t change. They try to resist sin, and to obey God. But that only goes so far. While they attend church, they are not necessarily active in it, or they have chosen one comfortable area that doesn’t require a lot of commitment, and they serve in no other capacity outside of the church either. Their Bible reading time is minimal, a verse or two a couple days a week. Maybe a little daily devotional that consists of 3 short paragraphs and a Bible verse. They don’t even need to crack open their Bible to do that one, but they tuck it in their Bible cover to make it seem more legit. Prayer is a quick one-liner before starting the day, or maybe a litany of please-blesses. Finally, there is the die-hard. This person owns almost nothing that doesn’t have the team colors and logos. They have rooms in their house devoted to Green Bay Packer paraphernalia, and even have Packer furniture, and flooring!! Their car has been completely Packerfied with flags, magnets, stickers, or even an entire paint job. They own season tickets. They can name every player on the team, where they are from, everyone they have played for, and all their stats. They know every major, and most minor, games in the entire history of the franchise. These people wouldn’t change teams if their lives depended on it! Their team is their identity, it is who they are at the core of their being. Are there faithers like this? Oh, yes! Those who attend church as often as they possibly can, and feel a loss when they are unable to. Those who are involved in service both in and out of the church. The ones who pour over the Scriptures and devour every truth the Spirit reveals to them. They have a designated prayer time, but it doesn’t seem to stop there. They are talking to God all through the day, as though He was accompanying them every where they to and they just chat with each other, like good companions do. They are die-hards, in it for the long haul. Their faith colors run deep. They might be shaken from time to time, but they will never fall. Just as you can tell what kind of football fan a person is by their attitudes, their words, their actions, so you can tell a faither, a Christian. James 2: 14 says this: “My brothers and sisters, if people say they have faith, but do nothing, their faith is worth nothing.” A person can say they are a faither all day long, but if their words and actions do not demonstrate that, how deep is that faith? Is it true faith, or just fair-weather recognition of God? Is it “faith” at all then? Or is it just head knowledge that will falter with the first sign of trouble? In James 2:22 (NCV) – it says, “So you see that Abraham’s faith and the things he did worked together. His faith was made perfect by what he did.” Abraham was a die-hard faither! He believed in God with all his heart. There was absolutely no doubt in who God was. It was his faith that made him righteous before God (Romans 4:3 – “the Scripture says, ‘Abraham believed God, and God accepted Abraham’s faith, and that faith made him right with God. '”) Because his faith ran so deep, he was willing to obey God, serve God, and spend time talking with God. As a result, his faith could be seen in how he lived. It wasn’t how he lived that saved him, that was faith. But how he lived demonstrated to the world that his faith was true, and those colors ran deep. Where are you on the faith-er scale? Wherever you are, your faith can be strengthened. But it takes investment from you. Your faith is not going to go anywhere without time really reading God’s Word. Devotionals are fine as starters, like the dried leaves on a bonfire, but the wood won’t burn long if that is all you are going to use. Be patient, but be persistent. Don’t give up, no matter what. And pray. Talk to God like He is the only one who will listen and understand you, because He is. And force yourself to pray throughout your day, even when you may not feel like it. Eventually, it will become automatic, and when you don’t spend time with Him, you will feel a deep whole and out of sync with everything until you do. When you do these things, and you stay committed to them, you will begin to hear that still small voice that your soul longs for more than you may even realize. Put on the colors of Team God! Paint your life with them. Get your season tickets to worshiping Him. Study the playbook and get to know all the stats of the major players. Show the world that your faith is who you are! YOU ARE A CHRISTIAN!! !